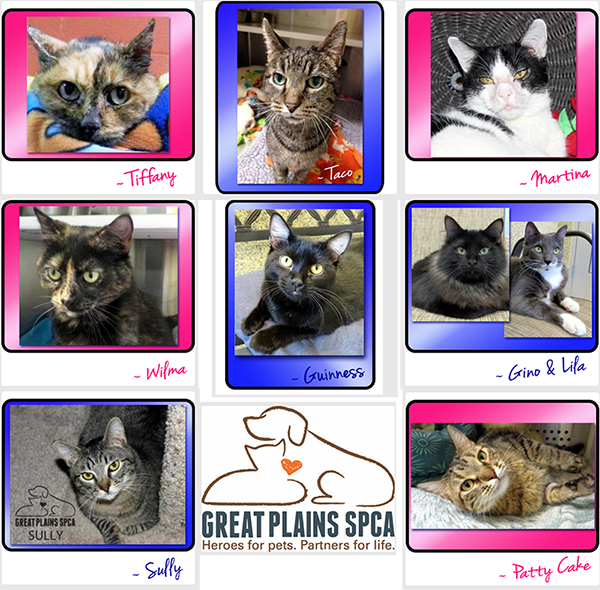 Each week in 2014, we've been featuring adorable, available cats from Great Plains SPCA & Wayside Waifs. We thought Labor Day was an appropriate day to celebrate the behind-the-scenes efforts of staff and volunteers, working countless hours to make it possible for these fabulous felines to find their very own homes. 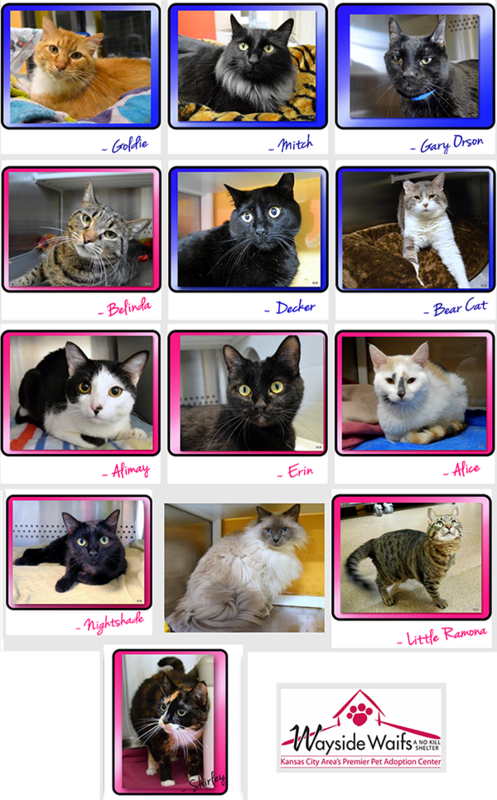 Since our last report, we've featured 34 adoptable cats. Twenty-two of these guys have found their forever families. Thank you for the tireless, unsung efforts on behalf of all these animals. And to the kitties who have been adopted: may you all live happily ever after! That is great news!! Paws crossed for lots more adoptions. WOW! That is quite a success story! We're hoping for many more adoptions too! ...so many kitties. Just imagine the love they can bring. That's a lot of adoptions and a lot of love and hope.........thanks to everyone who works at or helps out at a shelter - it's tiring work but there are moments of great joy......hoping those who haven't found their "forever" find it SOON! I always enjoy hearing about kitties finding their forever homes. Thanks for helping them. Paws up for so many happy tails! Glogirly and Katie are right... there's soooo much love there just waiting to go home with forever families. That is just plainly PAAAAAWWWWWSSSSOOOMMMMMEEEEE!!!!!! Absolutely fantastic...we are so happy for these little angels and hopeful for the many still waiting for their forever homes. We love happy endings! Rescuers Rock! I always love hearing about kitties getting adopted! Paws up! We love these happy tails! Woo hoo. I am doing a happy dance!